Spotless office. Staff was welcoming and friendly. Dr. Boerger was great - knowledgeable, direct and efficient. Very gladI made the appointment. 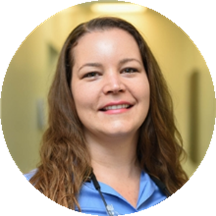 Dr. Julie Boerger graduated in 2010 from the University of Montreal School Of Dental Medicine. She completed her education as a resident and then as a chief resident at Stony Brook University School of Dental Medicine’s General Practice Residency Program. During her residency, she received extensive training in implantology, esthetic dentistry, crowns and bridges. She frequently participates in continuing education classes in order to keep her knowledge up-to-date and to be able to provide the best quality of treatments to her patients. Currently, Dr. Boerger is a member of the American Dental Association, New York State Dental Association, Suffolk County Dental Society, American Academy of Implant Dentistry, International Congress of Oral Implantologists and Academy of General Dentistry. She is a clinical assistant professor at Stony Brook School of Dental Medicine and a board member for the new dentist magazine. Dr. Boerger says that the best thing about her job is being able to make her patients feel better through quality dental care. Her approach to dentistry emphasizes really getting to know her patients so that she can provide truly personalized care. In her free time, Dr. Boerger enjoys gardening and is a proud resident of the Sayville community. Staff was friendly and answered all questions. Found a cavity and was able to get it taken care of right away. I approached my first visit with great trepidation, but was put to ease by the doctor's humor and professionalism. I would certainly recommend the doctor and the able staff for making my initially nervous visit a GREAT EXPERIENCE! GREAT JOB!